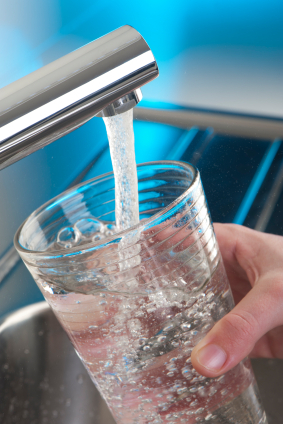 If you have been considering adding a water filtration system to your home, there are several factors to consider to determine the best system for your needs. Whole house water filters and softeners, under sink cartridge based systems and reverse osmosis filtration systems are available. A certified professional plumbing contractor can not only help you determine the size and type of system that is appropriate for your family, but also make sure that it is installed and maintained correctly. Whole house water filtration systems hook up to the primary water line coming in to your home. Often, whole house filters are targeted to remove specific contaminants that are of concern in your area. Softener based systems remove hardness minerals, while other filters can remove chlorine, sediments, chemicals and metals such as iron. AmeriServe can help you determine the problematic contaminants in your area to ensure your system is working as efficiently as possible. Flow rate, filter size, port size, and filter life span must be selected according to your water use needs. Existing systems also need to be maintained on a regular basis to ensure maximum and safe performance which we can help you with. Under sink cartridge filtration systems are the most cost effective way to ensure you have safe and clean tasting water available. Multiple stages of filtration with replaceable cartridges are positioned out of the way beneath the sink and a dedicated filtered water spigot can be installed, allowing you to choose between regular tap water for dishes and filtered water for cooking and drinking. Cartridges must be replaced on a regular basis and we are happy to set up a maintenance schedule for you upon the installation of your system. Reverse osmosis systems are the most effective way of removing the widest variety of contaminants from your water. A molecular membrane permits only water molecules to pass through, producing pure, clean and safe drinking water. Carbon and sediment filters help preserve the lifespan of this special membrane. Reverse osmosis systems can be installed under your sink, on the counter top or in a utility closet as needed. Typically we will replace your filters every 6 months, while the membrane must be replaced every 3-5 years. Regardless of the type of system you are considering, AmeriServe “The Reliable Plumber” has been working with water filtration since 1995. We can help you choose the perfect system for your needs and install it professionally.